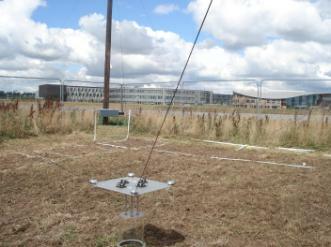 York and Swansee Universities has recently received funding for a SkyGas-system at Följesjön in Skogaryd. The SkyGas system moves in a 3D pattern, similar as a camera attached to the roof at a sports arena. A Gas-Flux chamber will be moved around at different locations at Följesjön along with a micro metrological setup. This setup will combine resources and knowledges from SITES Water and Spectral SITES. A mire at Skogaryd is equipted with a similar SkyLine system. Further research approaches from this infrastructure will be to model footprint theories within ICOS and measure green-house gases with lasers. The SkyGas-sysmen is also an interesting feature in cropping systems.